Last week I told you that as part of BloggerAid's group View and Review, I had been chosen to receive a copy of Mary Audet's The Everything Cookies & Brownies Cookbook. Still trying to get back my mojo after being sick for so long, I had plenty of time to look through this book and to put it mildly — I was delighted! I have to admit that when I first discovered the book was cookies and brownies, I was a little disappointed. I love to bake and I have more than enough recipes for these wonderful morsels…or so I thought. Many of you know that I've been trying to streamline my collection of cookbooks and individual recipes. I have sold many of my cookbooks on Half.com and kept only my absolute favorites, those that are my "go to" books for inspiration and recipes I have made numerous times. Well, all I can say is I now have a "go to" cookbook for cookies and brownies. 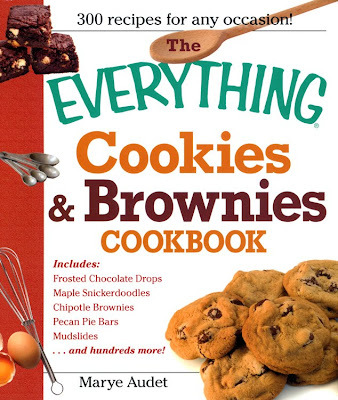 The Everything Cookies & Brownies Cookbook contains, all in one volume, the essentials for successful baking of some of America's favorite treats. In Marye's introduction, she points out what most of us know — "baking with your children is an excellent way to create memories and build relationships." Don't most of us have fond memories of baking with our mothers and grandmothers? Didn't we then turnaround and bake with our children and our grandchildren? As a mother of eight, Marye fully understands that this is one of the best ways to share quality time with those we love and she has shared old favorites and new ones with us. Have you ever attended one those holiday cookie exchanges at your place of employment or with a group you belong to? For those who haven't, at a cookie exchange, everyone who attends brings in homemade baked goods. The goodies are placed on a central table and then each baker goes around with their container and takes a little of this and a little of that. You end up with a very nice assortment of goodies for your holiday table. What I've discovered at many of these I've attended, is that not everyone is a great baker. They've given it their best shot, but fell flat. There is an art to baking and you need to know the basics to ensure success and have your co-workers/family/friends raving about your contribution. We all want to be praised for our efforts and if you fall into that category of bakers whose treats are left on the table, you need this book! Chapter One of this book starts with Cookie Baking Basics — Ingredients for Success, The Zen of Measuring and Mixing and Equipment and Pans. This isn't rocket science, but if your cookies are never quite what you wanted them to be, this chapter is for you. Knowing how to properly sift and measure flour is probably the biggest mistake I come across at bake sales and cookie exchanges. Interspersed throughout the text are Alerts, Facts, Questions, and Essentials, all you need to know to become a Cookie Master and make your family proud. Don't be afraid, all of this is really very simple, you just need to know how to do it properly. Thoughtfully, Marye has also included how to properly store and ship your homemade delights to those you love. In Chapter Seven, she even gives recipes for the best cookies to ship. The book is 294 pages and contains 300 recipes. Broken down into sixteen chapters, we have cookies with chips (of course! ), drop cookies, shaped cookies, rolled cookies, no-bake cookies, refrigerator cookies, exotic favorites, cookies to bake with kids, holiday cookies, cookies for special needs, meringues, rolled cookies, brownies and bars, and a whole chapter devoted to glazes, fillings and frostings. Whew, makes me dizzy just to think of everything included in this book! You'll even find recipes for Cookie Mix in a Jar and Brownies in a Jar. Included in the appendix are instructions to copy and print out to attach to the jars. Wouldn't this make a much better gift for your co-workers, children's teachers, neighbors and others, rather than the standard coffee cup or scented candle? Don't have a lot of time for baking and we'd usually find you in the "slice and bake" section of the supermarket? Have an upcoming bake sale or family reunion and you need a lot of cookies? Just take an afternoon and open up to the chapter on refrigerator cookies. There you'll find a whopping seventeen cookie recipes, such as, Orange Pistachio, Peanut Butter Whirligigs, Lemon and Black Pepper, and Chocolate Swirls. Mix, roll into logs, and store them in the refrigerator or freezer. They'll be ready when you are! Slice and bake as many or as few as you need. Trust me, these will taste better than anything you can find at the market. AND, you made them all from scratch. 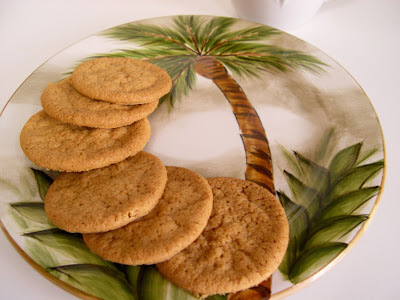 Also, refrigerator cookies are great to have on hand for last minute guests, when the kids come home from school or when your neighbor shows up unannounced for coffee. There are recipes here for everyone, from novice to seasoned baker. Some on my list to make first are Pumpkin Whoopie Pies, Pecan Pie Bars, Lemon Bon Bons, Buttermilk Butterflies, Mudslides, Chipotle Brownies, in fact, I ended up having so many stickies as I went through the book it was ridiculous. Oh, I don't want to forget the Molten-Middle Truffle Cookies, the name itself had me drooling all over myself! 2. Cream butter and sugar. Beat in egg and vanilla. 3. Mix dry ingredients; blend into butter mixture. 4. Drop by teaspoon-sized cookie scoop onto ungreased baking sheets. 5. Bake 12–15 minutes, or until edges are brown. Marye suggests using a pastry bag to pipe cookie dough onto baking sheets. Make them the size of a quarter for best results. Be sure to leave two inches between cookies to allow for expansion. I used a 12-inch bag with a #2 tip and it worked great. This recipe says it yields 24 cookies, but I had double that, enough for my pudding and plenty for munching with my morning coffee. This recipe couldn't be any simpler. You'll notice that my cookies came out a little flater than your typical wafer, but that was my fault. I was so busy setting up and taking photos, that the butter in my cookies became a little melty. Ideally, you want to whip up these cookies and get them in the oven while everything is still room temperature. Well, you know I live in Florida and "our" room temperature is not what it is in other areas. The day was already warm and my oven was really heating things up. The taste was, in a word, heavenly! 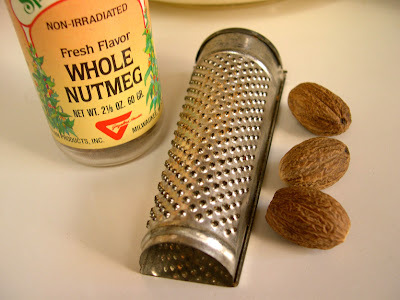 I can't tell you how rich the vanilla was and the hint of nutmeg was divine. My rating on a scale from one to ten was a 10. Honestly, I was more than pleasantly surprised and delighted with the outcome. But, remember the old adage, the proof is in the pudding? Well, in this case I mean that literally. I pulled out a box of vanilla pudding, do not use banana pudding as some recipes instruct you to do. The best thing about Southern banana pudding is the way the flavors play on your palette, you taste the vanilla and then the banana and honey, you're in heaven. Banana-flavored pudding only defeats the purpose. Imitation banana flavoring only covers up the true taste of the fresh bananas. Yuck. 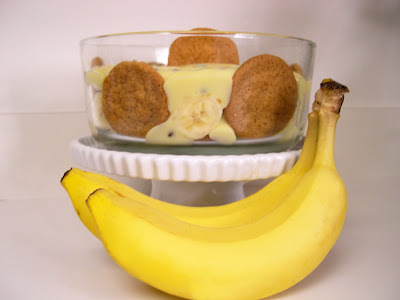 Anyway, I layered my homemade Nilla Wafers with bananas and pudding, starting with wafers and ending with pudding. Be sure to make at least several layers of each. I like to add miniature chocolate chips to my pudding sometimes and I was having a chocolate craving, so this time I did. You can top your pudding with freshly whipped cream, Cool Whip, or meringue. I like mine plain and usually serve such toppings on the side when I have guests. So how did my homemade Nilla Wafers measure up? I can honestly tell you that I will never use store-bought again! 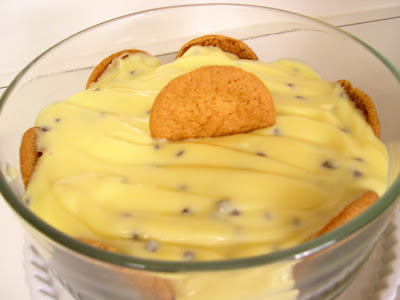 When you make Southern banana pudding, the secret is to let it set in the refrigerator for several hours or overnight, so that the cookies become all soft from soaking up the moisture of the pudding. The vanilla flavor of homemade vs. store-bought wafers cannot be compared. I've eaten banana pudding my whole life, my mom's, my grandmother's and that made by countless other friends and family members and this was the best I've ever had! My taste-buds were dancing with joy and this recipe alone is worth proudly adding The Everything Cookies & Brownies Cookbook to my library. I can't wait to pull out my baking pans and see what else Marye has in store for me. Yes, I do highly recommend The Everything Cookies & Brownies Cookbook, for yourself, as gifts to your friends whose cookies are on the dull side, brides, new mothers, your grown children and anyone else on your gift list. 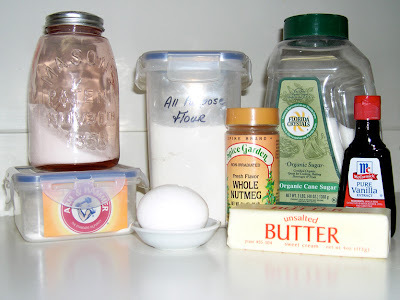 You can also find more recipes from Marye at her blog, Baking Delights. I didn't want to visit her blog until after I had written my review and now that I have I can tell you to do the same. In a recent post she explained how the Bon Appetit blog asked her to participate in their Blog Envy contest this year. She shares her recipe for Pumpkin Tiramisu with her readers and that now includes me. Now, if you remember, Marye was also kind enough to send a second book for a giveaway here at The Hut and the lucky winner is Sierra @ Ocean Dreams. Sierra, I know you're going to love this book as much as I do and Big Kiddo is in for a lot of taste testing. Thank you to all who entered for a chance to win, but the good news is this book is available and affordable! I want to share this cookbook review with all my foodie friends, so I'm linking this to Foodie Friday over at Michael's at Designs By Gollum, be sure to stop by and click on all the other fabulous foodie links and you just have to see her acorn containers, they are just so darn cute. I've spent most of this week relaxing, rejuvenating and trying to get back into the blogging groove. I'm just about 100% now and if it wasn't for an external hard drive failure, I would be one happy camper. Oh well, one day at a time. Love y'all! I'm back and I'm having a giveaway to celebrate! Back in July I joined, BloggerAid–Changing the Face of Famine, a group of international food bloggers determined to make a difference. I've been working on a special project with them that I will be announcing in the near future. Within this organization, I'm also part of a group called View and Review. Members of this group have the opportunity to tryout new products and cookbooks and then post a review there and on our blogs. My first cookbook arrived yesterday. 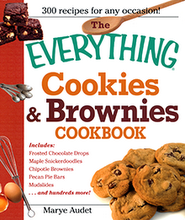 The Everything Cookies and Brownies Cookbook by Marye Audet will be receiving special attention from me this week. I know……it's a hard job, but somebody has to do it. Cookies and Brownies and a Cookbook, oh my! Where will I start? What recipe has my name on it? Why am I salivating already? Lemon Crinkles, Keylime Cutouts, Pumpkin Whoopie Pies……how's a girl to decide? Be sure to stop by next Friday for my review, learn more about the author, and trust me, I'll be sharing photos and a recipe with all of you! Best of all, Marye not only sent a copy for me to review, she also sent one for a giveaway! (Don't we like her already?) And she signed both copies, stating that if she becomes famous I can sell it and buy a cup of coffee. Well, Marye I'm putting on a pot of fresh coffee and pulling out my baking pans — I already know this book isn't going anywhere! Let's see, that can give you a total of up to four entries! How about you tell your readers to mention your name and blog in their comment and YES, you'll be entered for yet another chance for each of your faithful followers who join in the fun. Cool, huh? Add a link to this post in your blog and if you'd like a graphic, just grab the one in my sidebar. All entries from around the world will be accepted until Thursday, October 22, 2009 at 5:00 PM EST. Sorry, but anonymous comments are not eligible for this giveaway. The lucky winner will be announced next Friday, October 23, 2009 and as soon as I receive the shipping information the cookbook will be on its way. Good luck to all. I'm linking this to Foodie Friday over at Michael's at Designs By Gollum, be sure to stop by and click on all the other fabulous foodie links. It's great to be back and I can't wait to catch-up on all your blogs! Gosh, I feel as though I've been in a deep, dark hole and I'm finally seeing the light again! 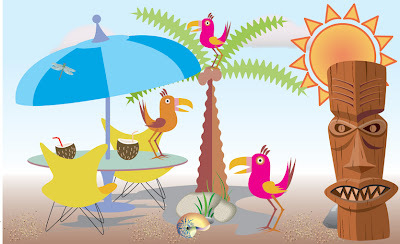 The sun is shining, the birds are singing, even the tikis are smiling today! I've prepared the mojitos and now I'm just waiting for all of you to come by for a visit. The weather here is still hot and the shore is beckoning us all. You know the rules — take off your shoes, put on your sunglasses, sit down, and relax; I've got the cocktails waiting! To celebrate my return and all of my fabulous blogging friends who helped me through this ordeal with their comments and emails, I've decided to have a giveaway! What better way to return to the WWB (Wonderful World of Blogging) than to offer each of you a chance to have something fun sent to your mailbox! I'll be announcing the details in a special Foodie Friday post tomorrow, so the rest of you be sure to stop by and sign up! I'll be stopping in to see what's new with all of you and let me tell you, I am ready for a good time! 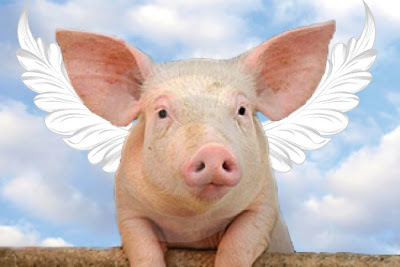 Have you ever heard the expression, When Pigs Fly? Well, I can tell you that they do and one has landed at the Tiki Hut! First, let me thank all of you for your comments and emails. They made me feel better, knowing that all of you cared enough to respond just did my heart good. I thought I would be feeling better long before now, but alas, that is not the case. From the symptoms it appears I have contracted the dreaded H1N1 flu, commonly known as the Swine Flu. Since this is the only flu virus outbreak currently in my county, I guess I have it. I wasn't feeling good, then I started feeling better and then it came back. I've been in contact with both my state and local health department. There really isn't anything you can do except let it run its course. I was told by the health department that if I feel my symptoms become life-threatening I should go to the emergency room. Obviously after this long I don't have a mild case, but on a good note, I don't have a severe case. I think I was just run-down and it has decided to linger on. I did improve and then it returned, but I don't have a fever and my cough is the same as before. I'm very lethargic and really don't feel like doing anything, but I can't sleep either. I made it through an extremely tough deadline that had me at my computer for 17 hours straight on the last day. I mean no breaks, eating at the computer and wondering why I ever wanted to become a freelance graphic designer. On the heels of that deadline, I had another project that I'm very passionate about and that is what I'm trying to muddle through now. It has turned out to be much more time-consuming than I ever imagined, but when I tell you about it, you'll know why I need to persevere and get it done. Basically, I work on this project and watch television. Dinner is now a can of soup over a bowl of plain white rice. The rest of the day is bananas, applesauce and toast. This is known as the BRAT (bananas, rice, applesauce and toast) diet and helps control one of the not-so-fun aspects of the flu. Last night my daughter brought me a chocolate-glazed donut and I managed to get it down. I love donuts! Chocolate cake and donuts are my downfall, but I have to say, I didn't really enjoy my donut like I normally would. You know — looking to see if there was another one. I miss blogging. I miss posting and I miss reading all of your blogs, but most of all I miss all of you. I feel so isolated and left out of all the fun. Right now, the beach for me is a distant memory that is waiting for my return. I just hope it is soon. I took a quick walk on the shore last week, thinking it would rejuvenate me. Didn't take long for me to find my way back to the comforts of home and that is where I will stay for now. Be well and be careful, I wouldn't wish this on anyone.